2nd Generation Specific (1986-1992) 1986-1992 Discussion including performance modifications and technical support sections. 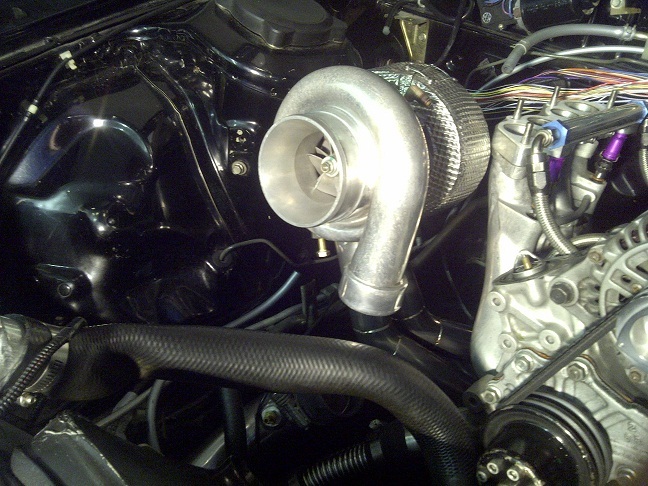 We are changing all of our turbo manifolds for 2013. 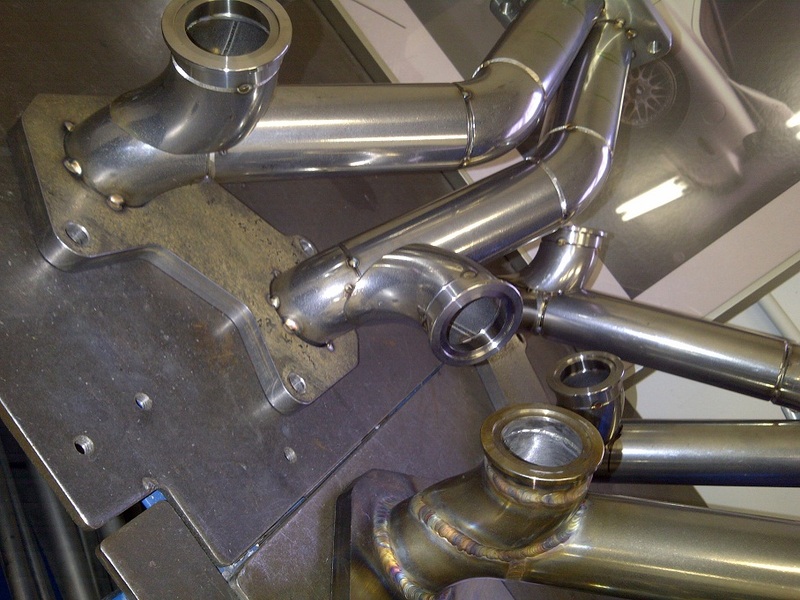 In the past we have been making manifolds on a case by case basis and we are not planning on offering this anymore. 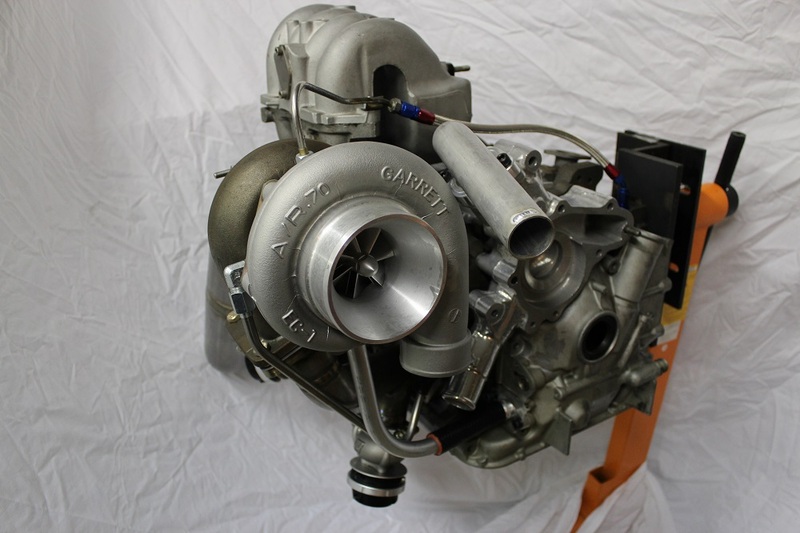 What we are doing is trying to fit as many possible turbo combinations, and variations into one nice package, and make them in bulk. 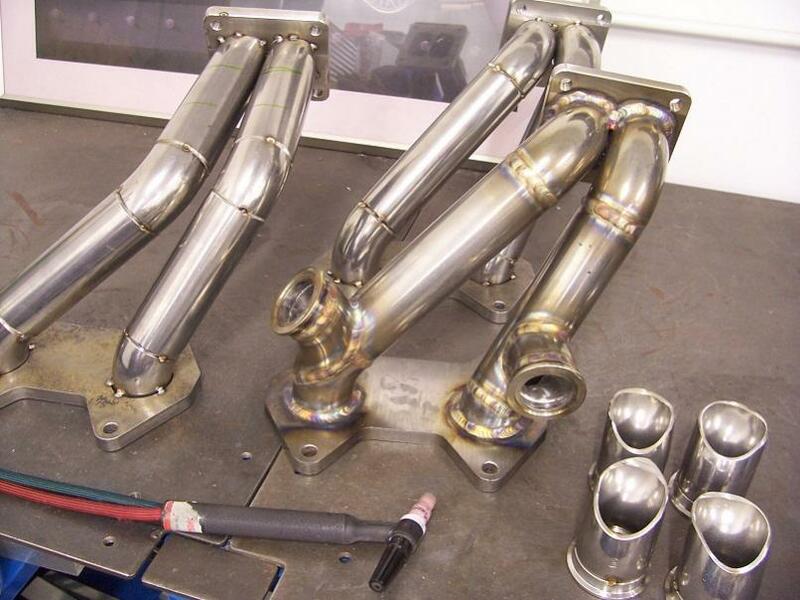 We intend to have manifolds sitting on the shelf ready for shipment. This means zero wait time! This manifold has proper waste-gate placement. The entrances to the waste-gate runners are in the direct flow, and tear-dropped where possible. The waste-gate runners are very short to disrupt the flow as little as possible. This manifold will never boost creep. 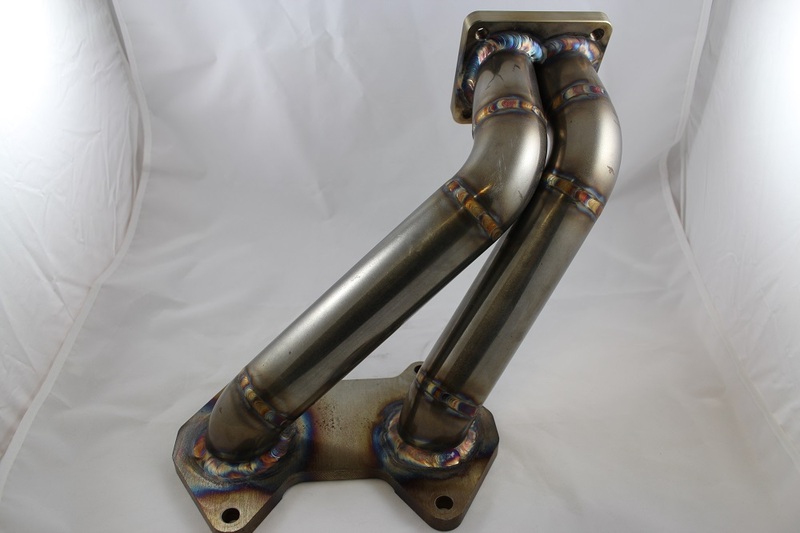 This manifold is built with schedule 40 1.5" cast pipe( 0.145" wall) 304SS. This is the optimal size inner diameter for a 13B 2 rotor. This manifold is built with the least amount of bends possible, and does not cheat any radii. Both flanges are also extremely well hand ported, and the I.D. of the flange matches the I.D. 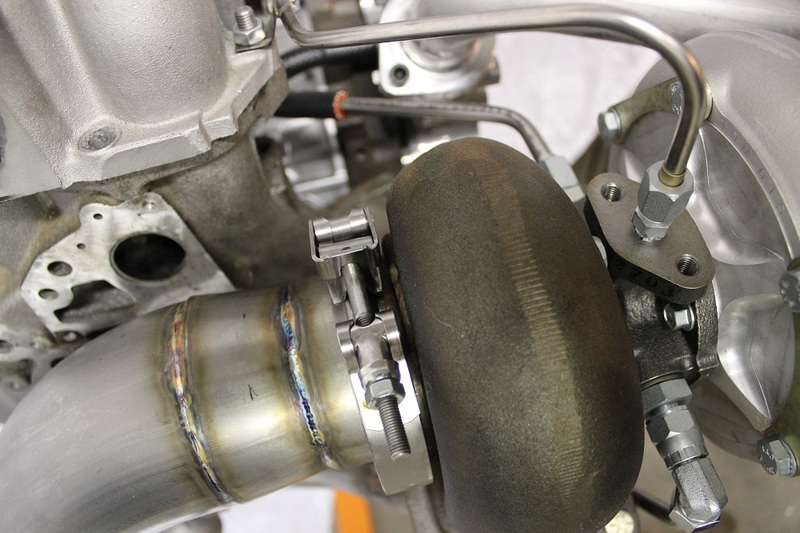 of the OEM 13B exhaust sleeve. 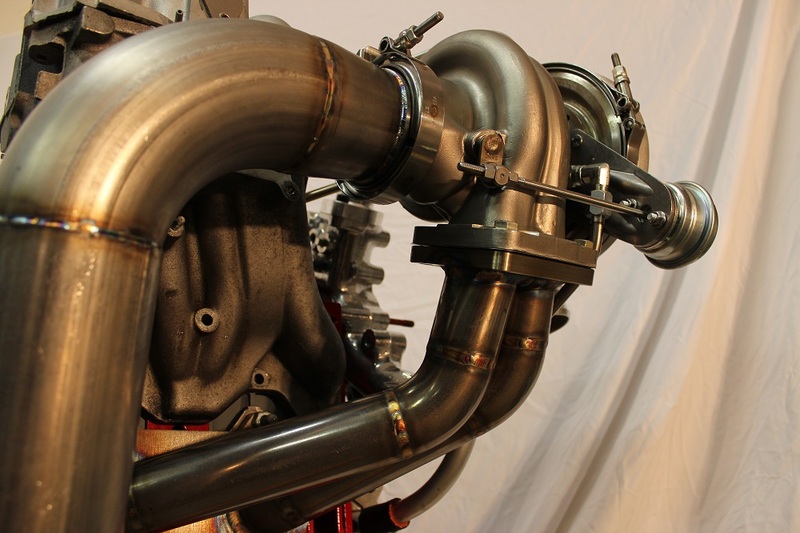 This manifold design has the highest velocity possible, and therefore the quickest " spool ". Air Pump, Air Pump Bracket, and Air Control Valve require removal. 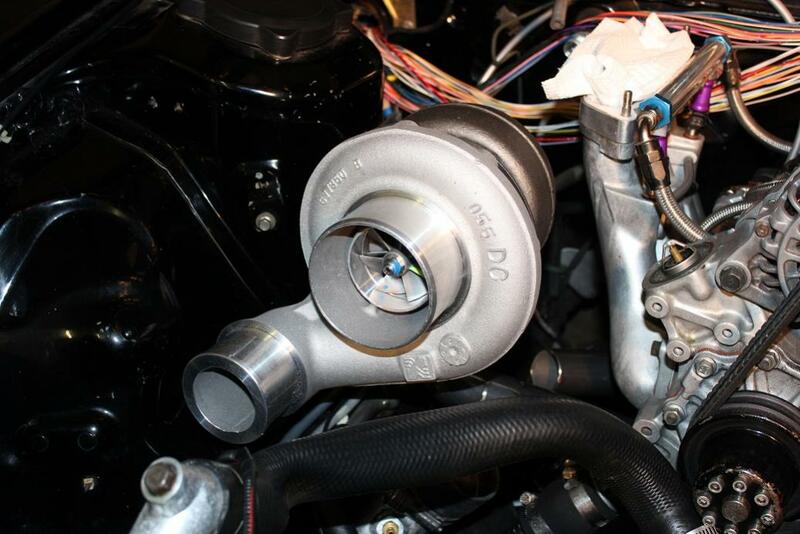 Fits most popular turbo sizes like Garrett GT35R, GT40R, Precision 6262,6265,6266,6765,6766,7175, Borg Warner S360, and S366. We have a 100% money back guarantee( less return freight) and free shipping( in the lower 48 states)! We are currently tweaking the manifold slightly to drop the turbo height in order to make the larger frame turbos clear the hood. We will probably be offering these with new thermostat necks( billet aluminum flange, with a welded on tube). Final placement. Pictured with a BW S366. Should fit a GT42R, but have yet to test fit one. All manifolds will require a new upper radiator hose. 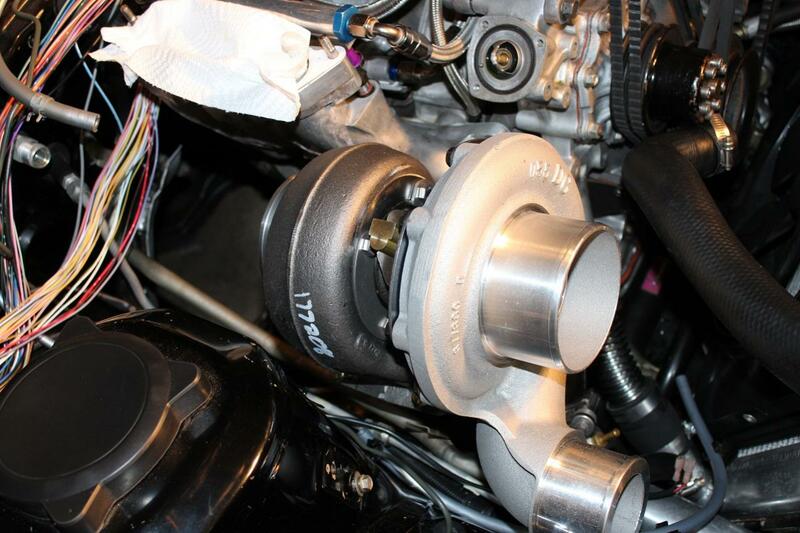 We will be supplying a billet thermostat neck. The final; all welded up. We are going to be making 10 more of these as soon as the flanges arrive. 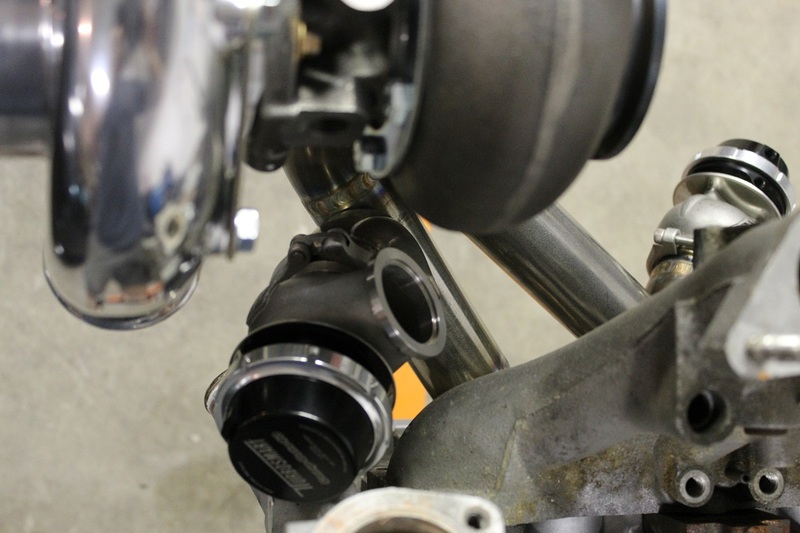 A few quick pictures with the wastegate gates installed. There is plenty of clearance even with engine rock assuming your motor mounts are in good condition. 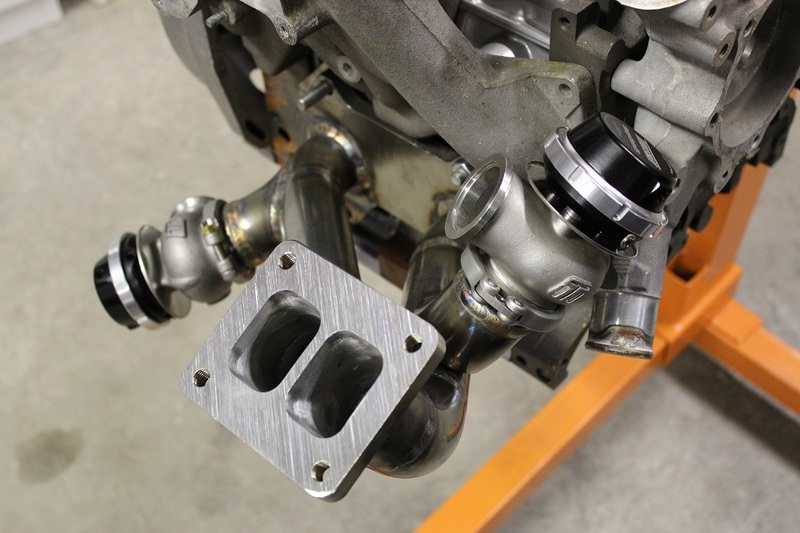 The front discharge is a little tight, but one can either run it between the engine mount bracket and oil pan, or over the engine mount bracket and out the back. 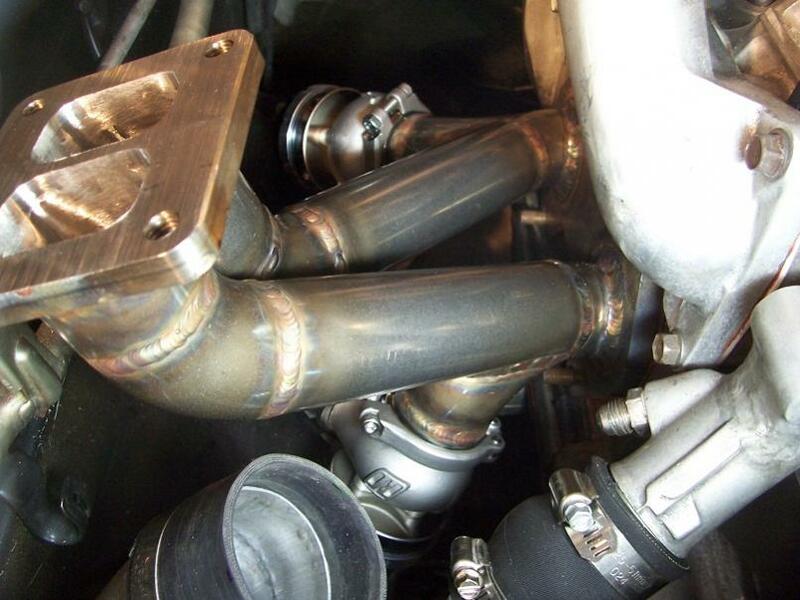 This manifold will not fit MVR wastegates, you only have your choice of Tial MVS, or TurboSmart Comp40 wastegates. Old school Tial 2 bolt flanges available upon request too. 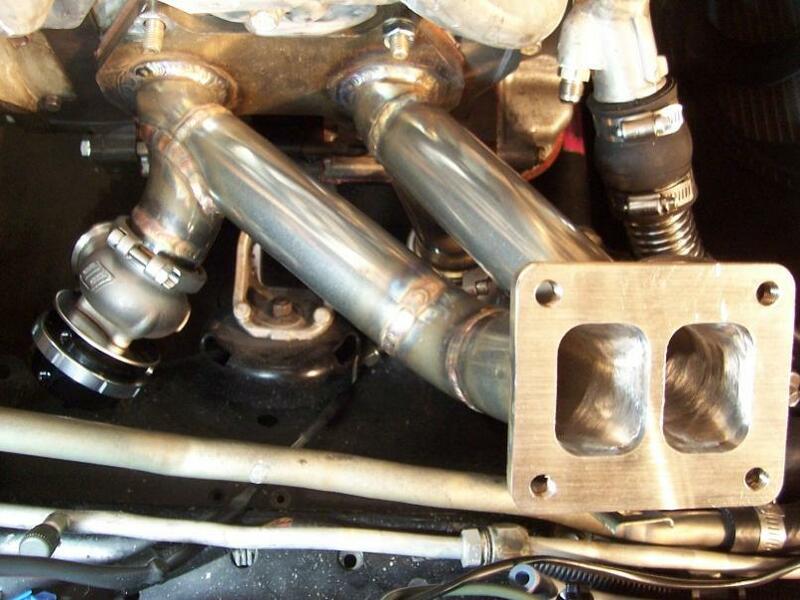 This manifold will also work for Convertibles( pictured). By the start of early next week these manifolds will now be in stock, ready for same day shipping. 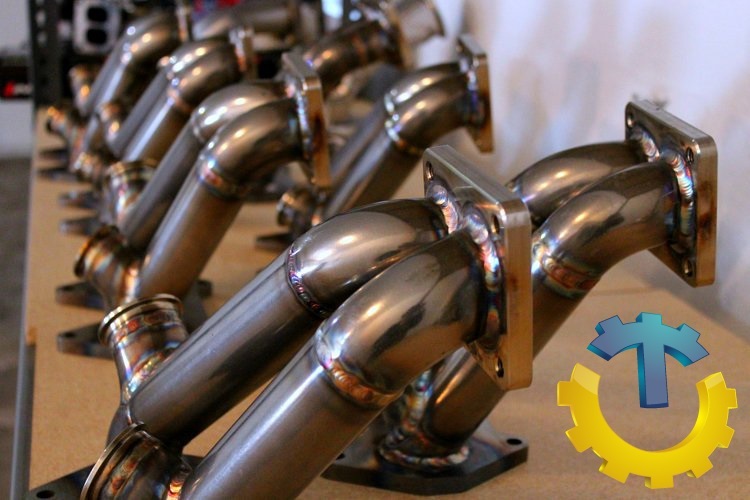 Manifolds are now in stock, and ready for immediate shipping! Cant wait to see mine plumbed in and ready to go! 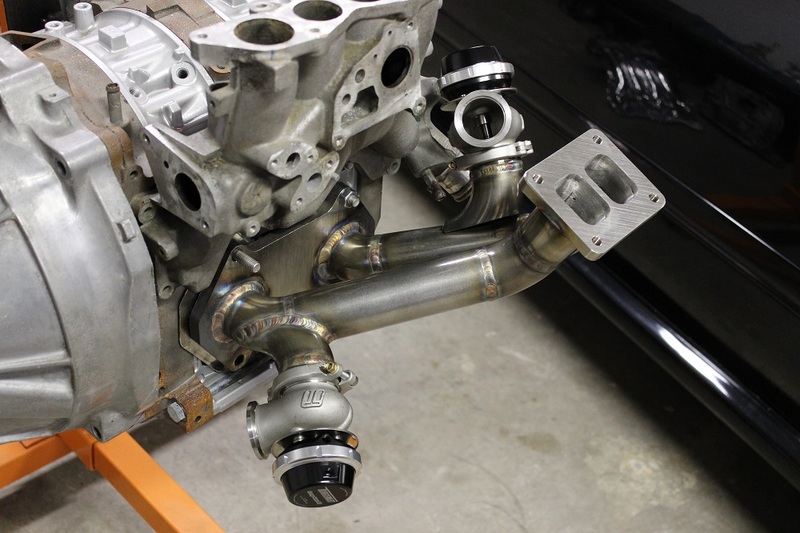 Manifolds are back in stock! how is it looking for the RHD version? It looks good, thanks for posting the pics up. someday, someday..... I will get to experience how awesome this setup is. any interest in doing a gb ? woo! 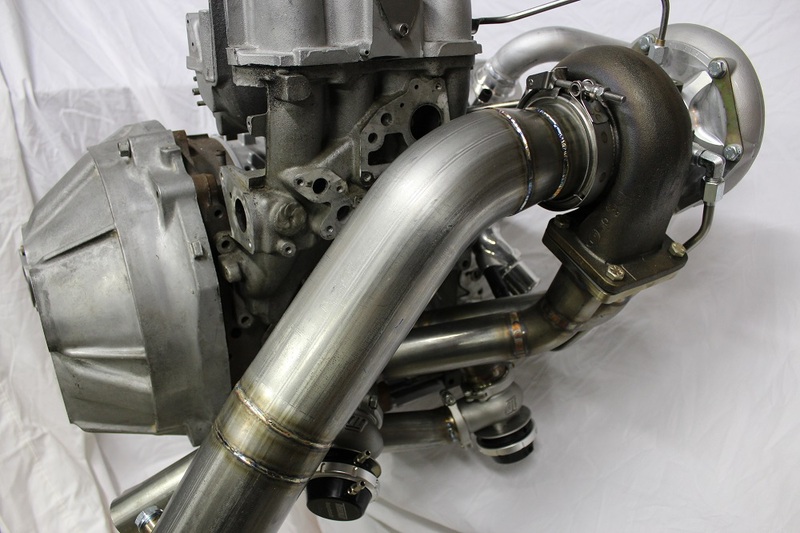 those EFR manifold pics are from my setup! 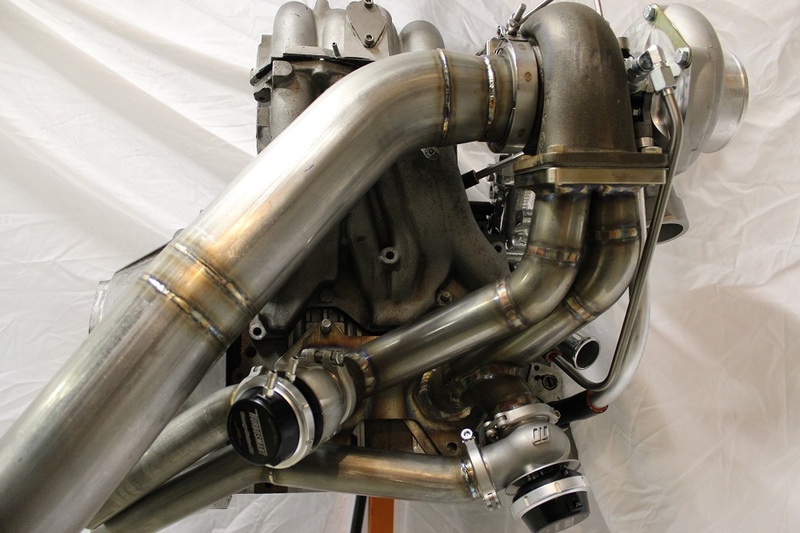 Hey i was wondering if someone has tried or knows if an Hx40 19cm^2 t4 flanged turbo will fit this manifold. Car is FD JDM. I imagine it should. 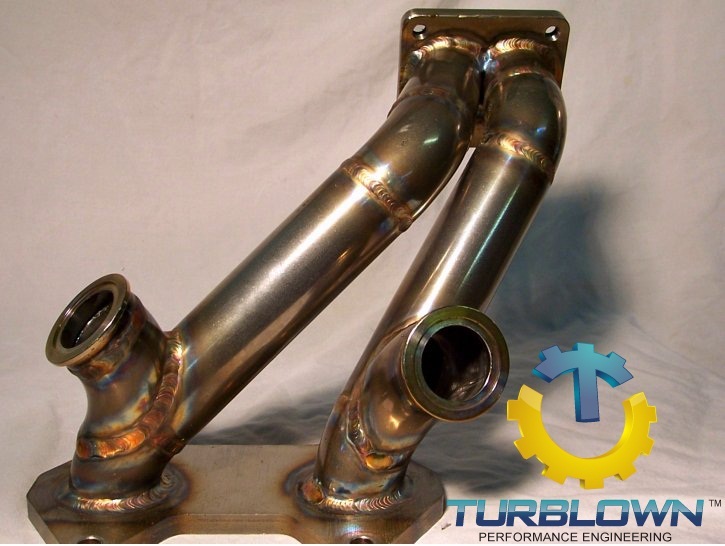 [For Sale] Borgwarner EFR or SXE + turbo manifold special!